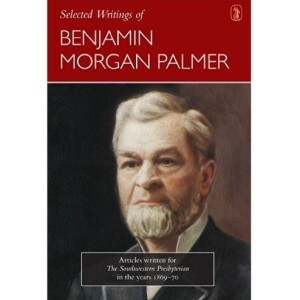 C. N. Willborn and Caleb Cangelosi, eds., Selected Writings of Benjamin Morgan Palmer: Articles Written for the Southwestern Presbyterian in the Years 1869–1870, Carlisle: Banner of Truth Trust, 2014, cloth, 205 pages. The 1902 General Assembly of the P.C.U.S. convened in First Church, Jackson, Mississippi, May 15, 1902. The retiring moderator, Neander M. Woods of Second Church, Memphis, delivered his sermon and then following his prayer the clerk reported that per the direction of the previous assembly the Synod of Louisiana had been organized. B. M. Palmer had served as the moderator of the new synod’s first meeting, which was appropriate because he had shepherded First Presbyterian Church, New Orleans, for over forty-five years. However, he would not be able to enjoy the assembly’s recognition of his synod because of the severe injuries he had received a few days earlier when he was hit by a streetcar. Professor of Didactic and Polemic Theology William T. Hall of Columbia Seminary was the moderator when the assembly adopted its resolution of sympathy for Palmer which invoked upon him “the richest ministrations of divine grace,” and an expression of the “earnest hope and prayer that he may yet long be spared to the church to which he is so dear” (Assembly Minutes, 248). 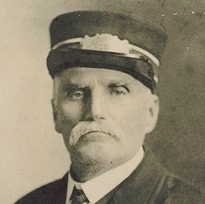 However, shortly after the assembly adjourned, Benjamin Morgan Palmer was taken home on May 25, 1902. The editors of Selected Writings of Benjamin Morgan Palmer, Caleb Cangelosi and C. N. Willborn, have brought together thirty-four articles published in 1869 and 1870 in the forgotten periodical, The Southwestern Presbyterian, which ran from 1869 to 1908. These articles provide a glimpse into Palmer’s ministry as a pastor, foreign missions proponent, expositor, evangelist, and apologist. The articles are organized into five sections. Each of the entries is brief with the shortest three and the longest eight pages in length, but they average about four pages and could be read during snippets of time while waiting for the children in car line at school or while anticipating the arrival of that friend who is always late to appointments. The handy size of the attractively dust jacketed cloth bound book, five by a little over seven inches, facilitates storage in small spaces for ready access. The thirteen articles that are included in the first section, “Leaves from a Pastor’s Portfolio,” are accounts of some of B. M. Palmer’s pastoral, evangelistic, and apologetic experiences. Included among the narratives are the conversion of a man facing death as yellow fever led to its often inevitable conclusion, salvation coming to an alcoholic with tuberculosis, one who believed in soteriological universalism that went to his grave thus deceived, and other similar pastoral encounters. “Leaves from the Pastor’s Portfolio” remind readers as they work through Palmer’s well-written pieces that life in the nineteenth century was often shortened by epidemics and diseases that are no longer feared thanks to God’s gracious work through medical science, but they also remind us there is nothing new under the sun when it comes to how the unbelieving sometimes defend their unbelief. One story in particular in the section, “The Young Student,” gives a picture of Palmer dealing with an objection to the gospel. Father Palmer tells of the discussion he had with a young college student while travelling by steamer on the Mississippi River. He had recently spoken at a university commencement that the young man had attended. As he approached Palmer, he asked if he could discuss some of his doubts about religion. The student expressed his concern that, “the Bible is so full of mysteries, which I cannot comprehend” and then added “it does not seem reasonable, to me, that I should be required to believe what I do not understand.” Pastor Palmer asked him if he was sure he wanted to hold to his point of protest, to which the young man answered he would hold to it “wherever it may lead.” Palmer then, adopting a technique he attributed to John Mason’s tract, Conversation with a Young Traveler, asked the inquirer to write down the fraction 1/3 and then also write it out as its decimal equivalent. Obediently, the student gave the fraction with the decimal having a long string of threes. Palmer asked if the decimal version had been exhausted. He told the student to go ahead and write it until it was complete, but the scholar contended he could write it in a “line of figures to the North Pole” but no resolution could be achieved. The young man pointed out that he believed the decimal would continue to infinity and it was simply a mathematical fact. Palmer affirmed his belief in the same fact but pointed out to the student that his principle of not believing what he could not comprehend had been compromised. Thus, said Palmer, “You are not staggered at the infinite in mathematics; why should you be scandalized at the infinite in God.” They continued their discussion until the young man agreed to study more of the Bible and expressed his appreciation to B. M. Palmer for his counsel. The second section is “Thoughts Upon Foreign Missions,” which is followed by the third section, “The Beatitudes.” B. M. Palmer provides his exposition in a series of nine articles having adopted the view Rudolph Stier presented in his eight-volume work, The Words of the Lord Jesus, published in English, 1874–1875. Stier interpreted the verses as showing how the gospel works in bringing one from poverty of spirit, to mourning for sin, then becoming meek and recognizing one’s inability, embracing and pursuing righteousness, growing into showing mercy, then purity of heart, and ultimately bringing peace. Palmer also commented that the biggest problem with the commentaries of his day was their regarding the sayings as general “ethical propositions,” which is a problem that continues in current commentaries. The brief exposition of each beatitude provides a clear interpretation of its meaning and its application. 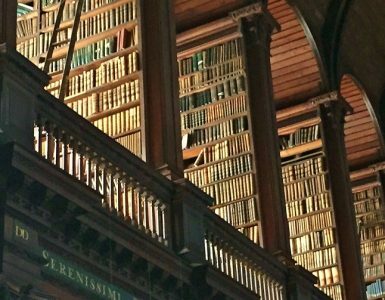 The fourth section, “Christian Paradoxes,” includes four pieces that consider what appear to be contradictions in Scripture. For example, in the first article, he notes that Galatians 2:20 speaks of having been crucified with Christ but in fact living, and then Colossians 3:3 teaches that the believer is dead but alive with Christ in God. As the article ends, Palmer concluded that paradoxically the noblest among humanity are those that profess the deepest sense of personal unworthiness. The next three entries address the paradoxes of one’s having awe for God yet taking confidence in him, having a keen sense of sorrow in life while maintaining composure of soul, and the believer’s deadness to the world yet having the truest enjoyment of the world. There are two observations regarding how the book might have been improved. The first is that on a few occasions the term is used, “a professor of religion.” In the day, this referred to one who was a professing Christian. The trouble is that since B. M. Palmer was for a time a seminary professor, the term caused the reviewer pause to discern if the one speaking to Palmer was referring to him as one professing faith, “a professor of religion,” or Professor of Religion B. M. Palmer. A note regarding the meaning of the Victorianese would have helped especially for those readers who do not normally read older books. Another addition that might have facilitated use of the book for reference would have been a brief subject index so that the topics covered by Palmer in the articles could be located, or maybe even better would be, as books had in Palmer’s day, a two or three-line summary of the article under its title in the table of contents for quick reference. 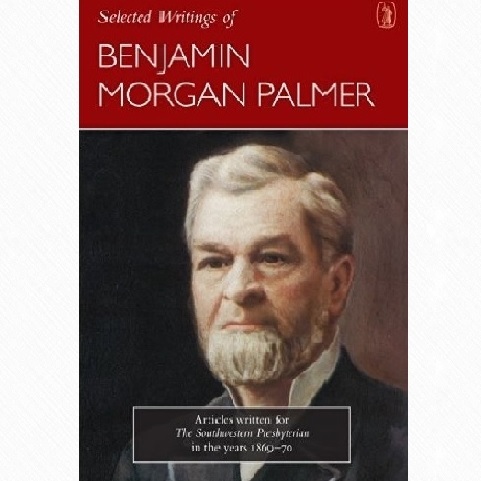 The Selected Writings of Benjamin Morgan Palmer provides experiences from and expositions by a dedicated pastor that served for many years. 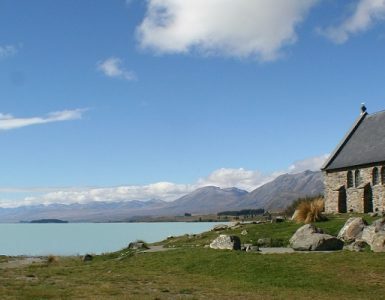 Even though twenty-first century ministers might think they are too advanced and digitally informed to learn from a minister that rode a horse, wrote with a dip pen, and preached with strained vocal cords instead of an amplifier, the articles in this book show that the work of shepherding is essentially the same despite technological advances and the flow of history. For B. M. Palmer, as today, the gospel must be proclaimed, the converted discipled, and spiritual difficulties counseled.